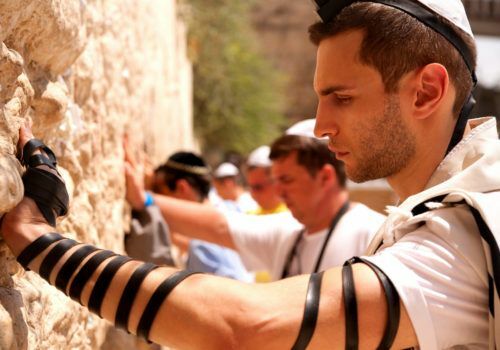 Join this gay Israel group trip to discover one of the most fascinating countries in the world. Although it’s no bigger than Wales, in cultural terms it’s a giant. Jerusalem is the capital of the three great monotheistic religions. It’s a city buzzing with life, and yes, tension. You will see the Dome of the Rock, the Wailing Wall and the Temple Mount. What’s more, Israel is the most gay-friendly country in the Middle East, and Tel Aviv boasts the best gay scene in the region. By the time you’ve floated weightlessly in the Dead Sea, and taken a camel ride through the desert, you’ll be ready to see the Nabatean ruins in neighbouring Jordan. This will be a trip of a lifetime. We’ll meet at our hotel at 4 pm and our brilliant tour guide will show us the sights. There’s no place on earth like Jerusalem, and in terms of historical significance, it’s arguably unrivalled. It’s been a part of the Roman, British and Ottoman Empires and has the sights to prove it. You can get lost in the winding streets of the old city, exploring teeming bazaars and marvel at the Church of the Holy Sepulcher. Jerusalem a city that should be on everyone’s bucket list. We’ll be heading to the Dead Sea, which is the lowest point on earth, and rich with healing minerals. You can float weightlessly in its buoyant waters. We shall see the ruins of King Herod’s palace by the clifftop fortress of Masada. The landscapes you’ll see are truly mindblowing. Sometimes referred to the Mediterranian’s Manhattan, Tel Aviv is a liberal, cosmopolitan coastal city. It has a great gay scene and popular gay beach. We will go to Tel Aviv for the weekend, so if nightlife is your thing we’ll be there at the optimal time. By day there are more cultural activities to explore than you can fit into one trip. You can stroll down Rothschild Boulevard, shop, take a day trip to Haifa or just soak up the sun. Just an hour’s flight from Israel is Jordan. We’ll start by exploring the Wadi Rum desert in jeeps and on camels. This dessert is famous for its red sandstone, making it look like the surface of Mars – a lot of sci-fi films have been shot here. Enjoying local cuisine and the insights of our tour guide, we shall sleep in a Bedouin camp in the desert. Don’t worry, we’ll be desert glamping in style with the comfort’s of a hotel room and en-suite bathrooms. And if you wake up in the night you can pop out for a casual stroll through the desert – because why not? Then we’ll take a 90-minute ride to Petra, and see the ruins of the Nabatean Kingdom. Through a narrow canyon, we’ll see the tombs and temples carved in pink sandstone. We shall return at night to see this wondrous site lit by thousands of candles. This is something you’ll never forget – and think about the Instagram kudos. On our 10th day we return to Tel Aviv for a final meal together, no doubt with plenty to talk about. You’ll be able to do some last minute shopping in Tel Aviv. We can arrange your flights home at a convenient time, or extend your trip. There’s so much to see we find that some travellers want to go off on their own adventure for a few days. If that’s the case let us know, and we’ll sort it out for you. You could head to the seaside town of Eilat or stay on in Tel Aviv.